I’m afraid we have a problem with inbreeding in our chicken flock. 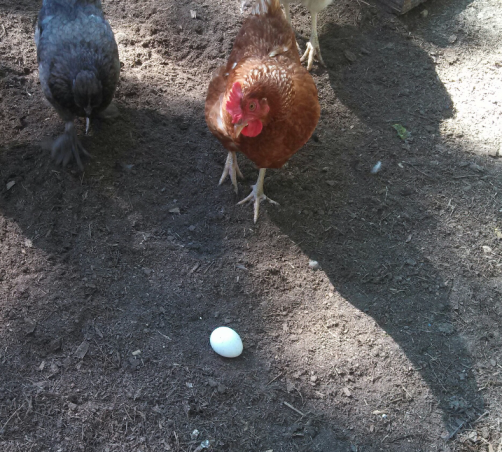 This latest group of recently hatched chickens seems particularly dumb. They do not appear to know the function of the nest boxes. I thought at first the “hen in a hive” was boycotting the nest boxes and laying her eggs in the abandoned beehive. However, I am finding eggs in a variety of places. For example, on top of the nest boxes. Out in the yard. Again no problem. 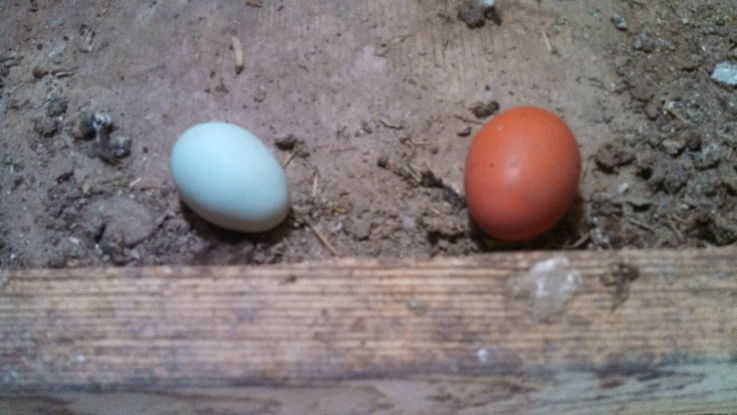 However, when they lay their eggs under the quail cage in the quail coop there is a problem. 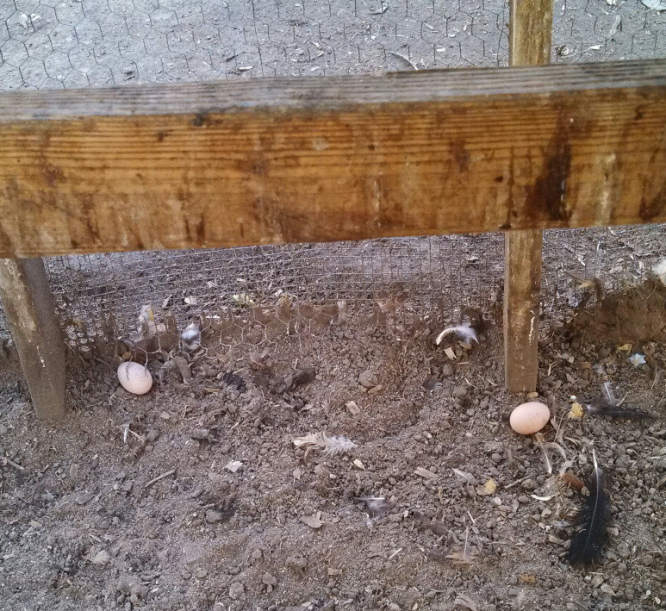 Eggs on the wood rail require some major contortions in order to collect. I can reach over the rail, arching my back as high as possible and stand on my tiptoes and hope I don’t lose my balance. Or I can crouch low and reach under the rail. The latter method reminds me of a dance – the Limbo.